People are giving rave reviews to a brand new water device brought out by inventor Clayton Nolte. He calls his product the Ultimate Structured Water Device. Truthfully, it is quite unique in that it has no moving parts, no filter, does not depend on electricity or magnetics, and it will never wear out. In fact Clayton offers a lifetime replacement guarantee. Those features alone give it top marks for sustainability. Nolte has studied water for decades and has based the design of his devices on how he perceives that Mother Earth cleans and energizes water in nature. His inventions mimic the activity found in a rapidly running river. The Ultimate Water Devices have geometrically shaped chambers inside of the unit that cause the water to swirl in a vortex fashion, sort of like a tornado, both clock-wise and counter clock-wise at the same time. Next, the water passes through a field of glass beads that causes the water to tumble every which way, adding even more motion and momentum in the process. 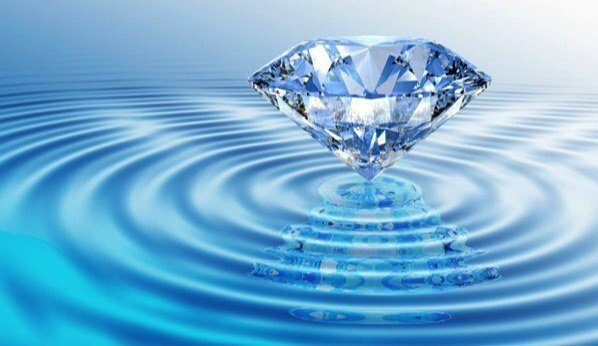 Regular unstructured tap water goes in the inlet side of the device, and the water that comes out the other end is both soft and structured, after going through the natural cleansing process that is achieved as a result of the dynamic tumbling motion within the unit. Nolte says there is quite a bit of difference between unstructured water and structured water. Has a very small water molecule that can easily absorb toxins and detoxify the body. Nolte has observed that structured water has a natural intelligence that allows it to discern what is good for life and what is harmful for life. It assimilates the things that are bad for life and carries them away. For example, chlorine, fluoride and other toxins are bad for life, so the structured water takes them into its cells for disposal. What you will consume in the water from this small machine, is the water with the toxins locked inside of it where they are unable to harm your body as they pass through. And if there is still room in the water molecule, it will start pulling other toxins such as viruses, bacteria, pesticides and other harmful chemicals from your body. In other words, the structured water will detoxify your body. 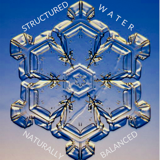 Distilled water and RO water do not have the same natural intelligence that structured water does. We became accustomed to drinking distilled and RO water because they are free of chemicals. However, they are also Dead Waters in the sense that they have very little life force due to the processing methods that were used to create them. They are so empty inside, that they absorb as waste the very elements that natural water tries to deliver as nutrients. Clayton Nolte has definitely come up with something different here. He is amassing some very passionate testimonials from people who are praising what this device is doing for them in many different ways.